MIAMI - Upending that old adage that all politics is local, President Donald Trump looms large over this year's Florida governor's race. As the top Republicans take cues from Trump on both policy and performance, the major Democratic contenders are drawing sharp contrasts with the president. All of the candidates seem like a response to Trump's tumultuous presidency. 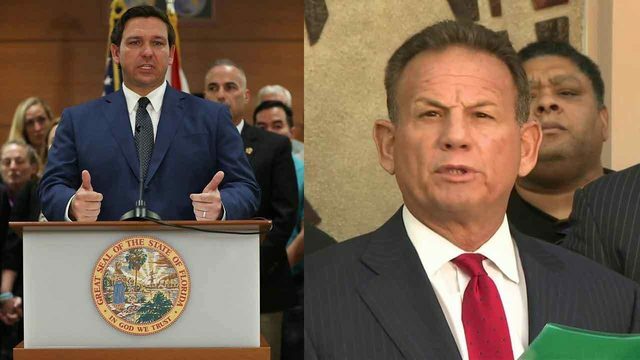 Who would Scott like to take over as next governor of Florida? 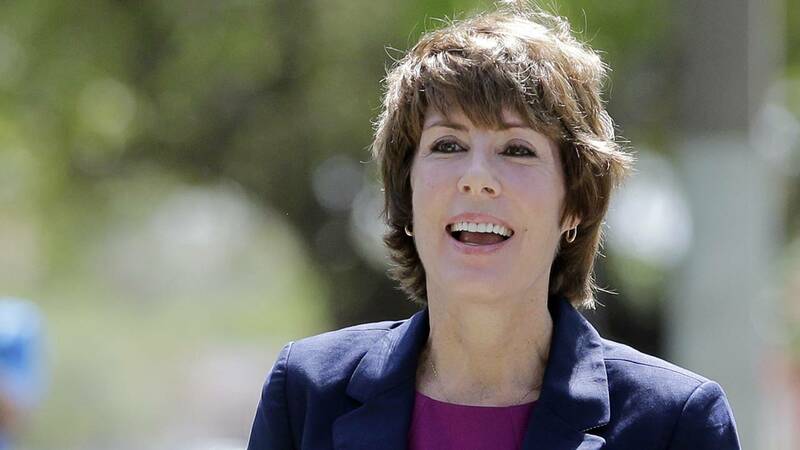 Gwen Graham preaches a bipartisan approach in a deeply polarized environment. Ron DeSantis wants to "drain the swamp" not just in Washington but in Tallahassee, as well. Wealthy businessmen Chris King, Jeff Greene and Philip Levine channel Trump’s financial independence on the campaign trail but with a progressive twist. 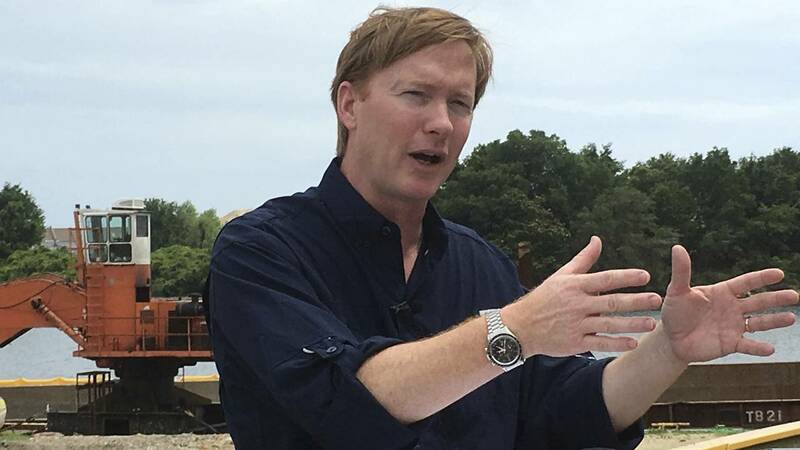 Despite criticizing Trump in the past, Adam Putnam wants to put "Florida first" by fighting against "rigged trade deals," while Andrew Gillum proudly declares he’s neither a millionaire nor a billionaire. Experience: A tea party conservative, DeSantis has represented Florida's 6th Congressional District, which covers parts of St. Johns, Flagler, Volusia and Lake counties, since 2013. 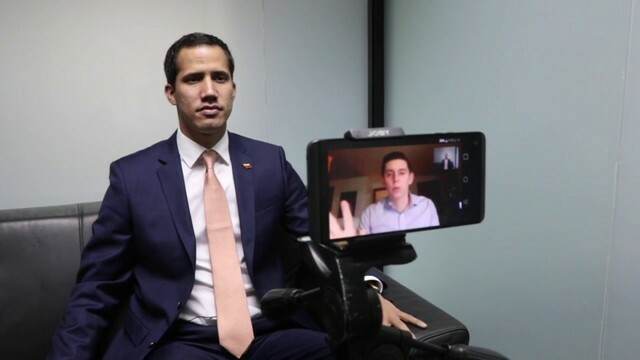 In 2016, he briefly ran for Marco Rubio's Senate seat, but dropped out of the race when Rubio decided to seek re-election after his failed presidential bid. Before his political career, he worked as a federal prosecutor, and he served in the U.S. Navy as a judge advocate general. While in the military, he worked with the Navy SEALs as a legal advisor in Fallujah, Iraq. Claim to fame: President Donald Trump has endorsed DeSantis, who is one of the president's most vocal supporters in Congress. 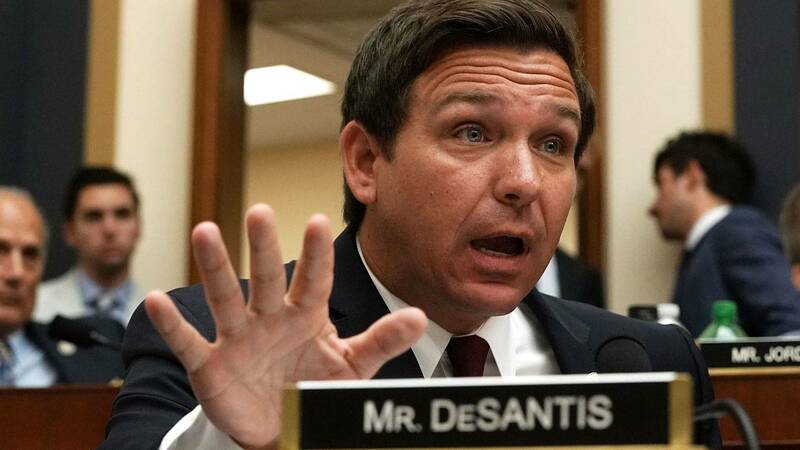 During the Trump administration, DeSantis raised his national profile with his frequent attacks on special counsel Robert Mueller's investigation into the Trump administration and Russian meddling in the 2016 presidential election. Polls show that DeSantis, a frequent guest on Fox News, has surged ahead of Republican rivals in recent weeks, signaling that Trump's support and his playbook could be a key to victory. 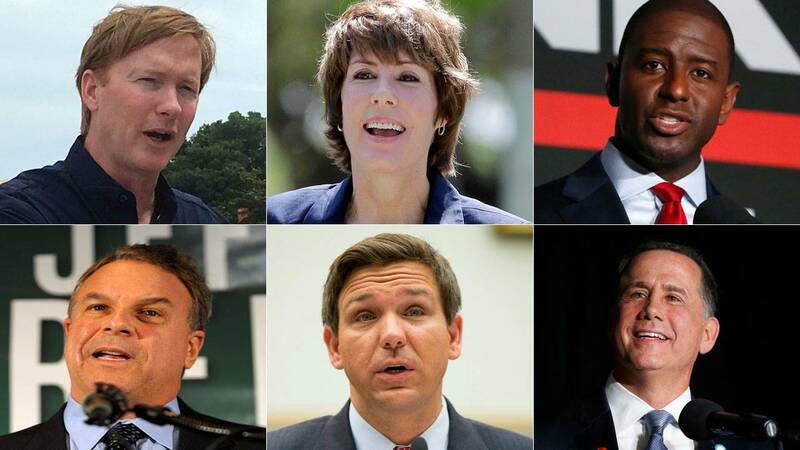 Key issues: DeSantis opposes abortion, supports gun rights and favors low taxes. Taking a page from Trump, DeSantis has said he was sent to Washington to "drain the swamp." In his campaign for governor, he has also taken on the role of government outsider, saying he will fight the establishment and corruption in state government. Experience: Putnam has served as Florida's Commission of Agriculture since 2010. From 2001 to 2011, he represented Florida's 12th Congressional District, which covered parts of central Florida. 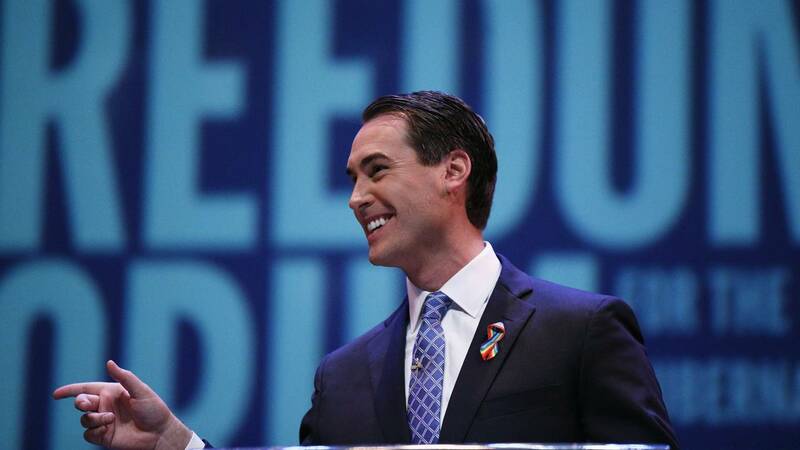 At 22, he became the youngest person ever be elected to the Florida Legislature, where he served two terms. Claim to fame: With extensive experience as a federal and state lawmaker, Putnam is considered the natural Republican successor to Gov. Rick Scott. Yet DeSantis, fueled by his ties to Trump, has pushed into the lead ahead the August primary. Putnam denounced Trump in 2016 after the "Access Hollywood" tapes were made public, and that decision may cost him in 2018. However, Putnam does lead his rivals in fundraising, bringing in more than $19 million in contributions. Key issues: Putnam is known for his strong support of gun rights and his opposition to more restrictions on firearms. In 2017, Putnam said he was "a proud NRA sellout." His stance on gun rights has made him a target of protests by survivors of the Parkland school shooting. His office's mishandling of concealed carry applications has drawn negative headlines. Putnam is also an opponent of federal environmental regulations, especially those that affect Florida's robust agricultural industry. Like other Republican candidates, Putnam has channeled President Donald Trump. His campaign slogan is "Florida First," and Putnam also railed against "rigged trade deals" that hurt Florida farmers. Experience: Born in Miami and raised in Gainesville, Gillum has served as mayor of Tallahassee since 2014. Gillum was a Tallahassee City commissioner from 2003 to 2013. 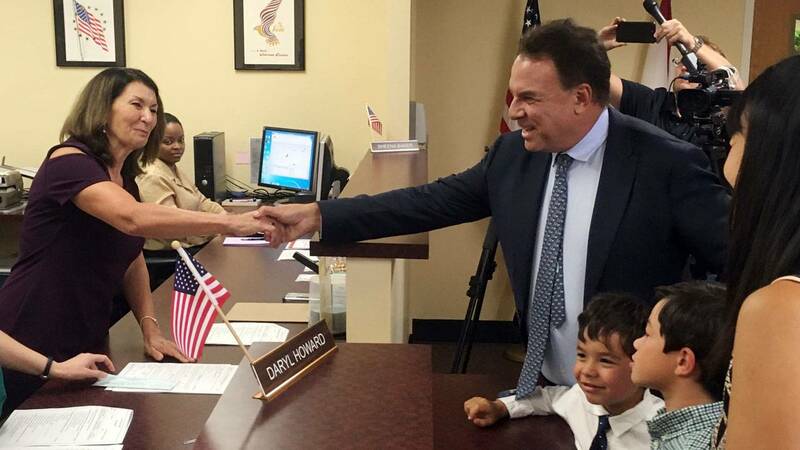 At 23, he became the youngest person elected to the commission. Claim to fame: National progressive groups have rallied around Gillum, arguing that Democrats have nominated moderate candidates for years, hoping to appeal to a broad swath of voters, only to lose to Republicans in November. His youth and appeal among black voters have been seen as major selling points for his campaign. Billionaire Tom Steyer, who is known for his national campaign calling for the impeachment of Trump, has promised at least $1 million to help Gillum's campaign. 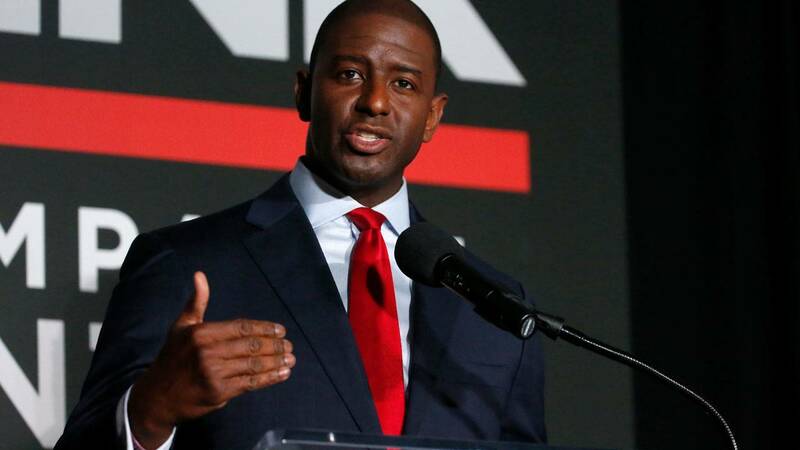 However, other liberal groups have expressed reservations about Gillum's reliance on large donations or so-called "dark money." An ongoing FBI investigation into corruption involving the Tallahassee city government has also placed a cloud over Gillum's campaign. Gillum has not been accused of any wrongdoing, but the investigation isn't expected to conclude before the primary in August. Key issues: Gillum is a strong proponent of gun control and has criticized Florida's lenient regulations on firearms. After the Parkland school shooting, Gillum stepped up his advocacy, appearing with survivors of the Marjory Stoneman Douglas High School shooting at events. Gillum has highlighted his views on immigration, criticizing the policies of the Trump administration. He has expressed support for so-called "sanctuary cities," which limit their cooperation with federal authorities to enforce immigration laws. He has also come out strongly against the Trump administration family separation policy. He was among the lawmakers to protest the policy being carried out at a shelter for migrant children in Homestead. Experience: Greene is a successful real estate developer who started his career buying a single rental property while attending Harvard Business School. In 2006, he anticipated the coming crash of the housing market and bought credit default swaps that he later cashed in, making him a billionaire. He owns thousands of properties in California, Florida and New York. In 2011, he ran for the U.S. Senate but lost in the Democratic primary to Kendrick Meek. Claim to fame: In his television ads, Greene leans heavily on his rags-to-riches story. Greene's first job was as a bus boy at a Palm Beach hotel. During college, he supported himself working various jobs, including selling circus tickets. His wealth is a major part of his campaign for governor. He argues that his self-funded campaign won't be beholden to special interests. Greene also contends he, more than his Democratic rivals, has the resources to compete against the Republican candidate in November. Key issues: Before his run for governor, Greene founded a private school in 2016 in Palm Beach County as part of an initiative backed by Facebook CEO Mark Zuckerberg. In his campaign, he has continued to focus on education. Greene opposes school vouchers, which many private schools in Florida depend on, saying that the vouchers take resources away from public schools. With more funding, Greene has said he would improve performance at the state's public schools and increase security for students and teachers. Greene, who has known Trump for years in the business world, has come out strongly against the president in television ads and public appearances. Greene has criticized the president's frequent visits to Trump's Mar-a-Lago resort, in Palm Beach, saying the trips are unfairly costing Florida taxpayers money. Experience: Graham represented Florida's 2nd Congressional District, which covers parts of the Florida Panhandle and the Big Bend region, from 2015 to 2017. She decided not to run for reelection in 2016 after her district was redrawn by state officials, making it overwhelmingly Republican. She is a lawyer and has worked on several presidential campaigns. Claim to fame: As the daughter of popular former Florida Gov. Bob Graham, she benefits from good name recognition among state voters, which has helped make her the Democratic front-runner. While in Congress, Graham positioned herself as a moderate Democrat, staking out independent positions from her party, including distancing herself from House Minority Leader Nancy Pelosi. She also often sought to work with her Republican colleagues. Because of her moderate stances in Congress, progressive groups have questioned her Democratic credentials in a series of outside advertisements. Key issues: Part of a wave of female candidates running for political office in 2018, Graham has put issues like abortion rights and support for the #MeToo movement front and center in her campaign. With Brett Kavanaugh's nomination to the U.S. Supreme Court, political activists are concerned that a more conservative high court could chip away at abortion rights, especially at the state level. Graham has pledged to protect women's access to abortions in Florida. She also promised to crack down on sexual harassment among Florida officials. "The politicians in Tallahassee treat committee week and session like it's spring break," Graham said in December. "When I'm governor, the party's over." Experience: King is the founder of Elevation Financial Group, a private equity real estate investment company. He is also involved in charitable foundations that focus on health care and education. Claim to fame: Considered a long shot for the Democratic nomination, King has spent more than $3 million of his own money to finance his campaign. Like Greene, King has promoted his wealth as an asset, saying he won't be beholden to special interests, like the state's sugar industry. Key issues: King has drawn on his experience as an entrepreneur to promote growing the state's economy and providing better educational opportunities for residents, including vocational training. Although he is often seen as a centrist candidate, King, like his primary rivals, hold many left-leaning views on major issues. King supports legalizing marijuana and abolishing the death penalty. Experience: Levine started a small media company catering to the cruise ship industry that grew into a multimillion-dollar company. In 2013, Levine shifted to politics, becoming the mayor of Miami Beach. While in office, he campaigned using the slogan "Get it Done" and stressed improving constituent services. Claim to fame: As mayor of Miami Beach, Levine was a strong advocate for combating the effects of climate change, namely sea-level rise. During Levine's two terms, Miami Beach invested in pumps and drainage systems and raised roads. Levine argues that the rest of Florida is just as susceptible to the dangers of climate change as Miami Beach. He has proposed more investment in solar energy as an alternative to burning fossil fuels. Levine has also vowed to fight algae blooms that have fouled the Florida coasts in recent years. However, some question whether Levine, although popular in South Florida, has statewide appeal. Key issues: Levine has sought to appeal to both progressive voters -- with his stances on environmental issues and gay rights -- as well as people in the business community. 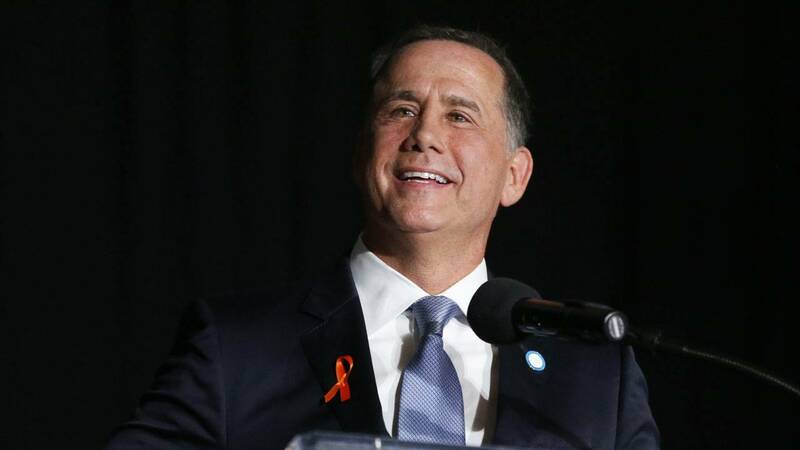 Levine has proposed more support for entrepreneurs, dubbing Florida the "startup state." He also supports allowing Florida cities to raise the minimum wage. As mayor, Levine spearheaded an effort to raise Miami Beach's minimum wage to $13.31 by 2021, but the law was struck down by the courts. Other candidates such as Gillum have proposed a $15 statewide minimum wage.